If you currently don't have a content strategy (why not? ), then following their calendar will give your content structure. Win-win! 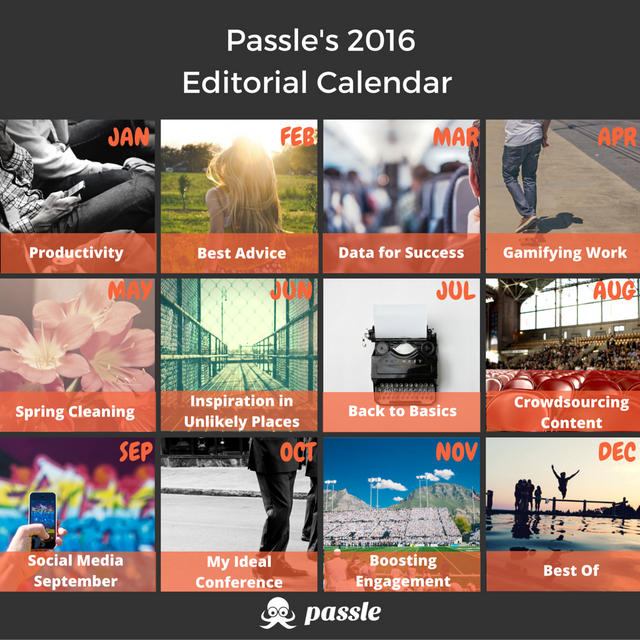 In that spirit, I've gone and created a Passle editorial calendar (see below). Feel free to join in!